When I mentioned earlier this year that I would be going to Cuba, the first question that people asked was, "How are you getting there?" My stock response was: an airplane departing from Miami. 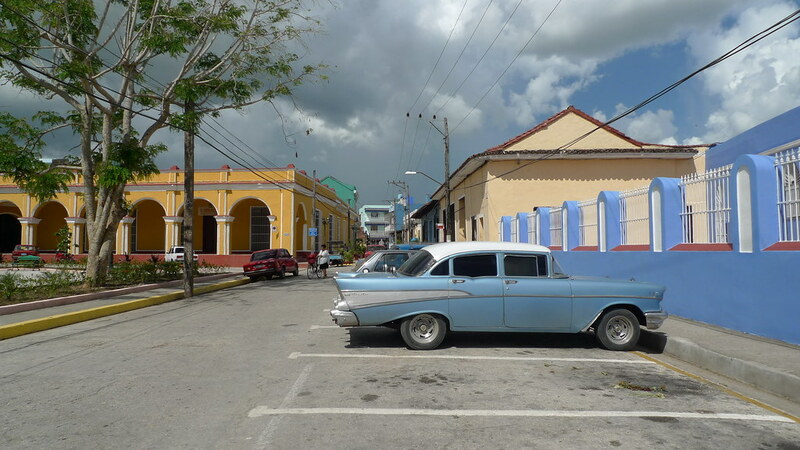 I was able to secure a travel visa to visit this forbidden country through a state department program aimed at slowly opening Cuba up to the US. I wouldn't have such a stock response upon my return, when most people asked, "What was your favorite part about Cuba?" 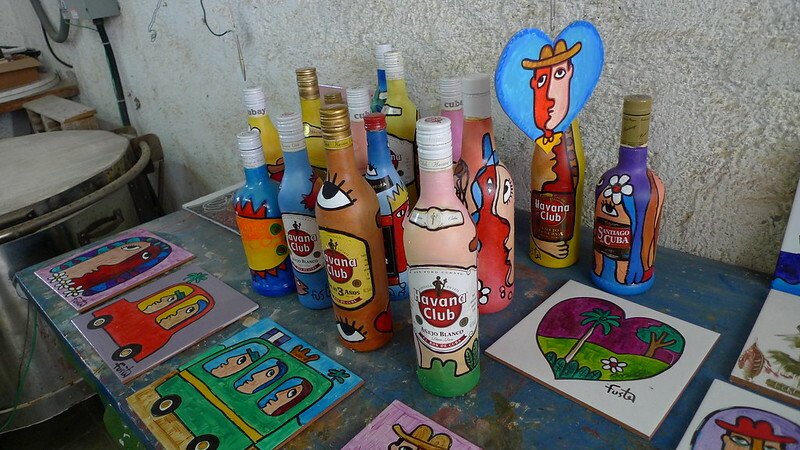 There were a lot of booze-related moments like visiting the grave of the bartender that made the daiquiri for Hemingway, or having a daiquiri at El Floridita, or having a hotel nacional at the Hotel Nacional, and of course all the awesome Cuban rum. There were a lot of moments that I loved, mostly involving having dinner with Nita and her friends at a local paladar drinking Cuban rum. But those were personal moments in which Cuba was in the background. It took a while to come to this conclusion, but my favorite part about Cuba was the hope and ambition and DIY nature of the Cuban art scene. Anything is a canvas, an often time it's scrap material that is reclaimed and turned into something vibrant and colorful. 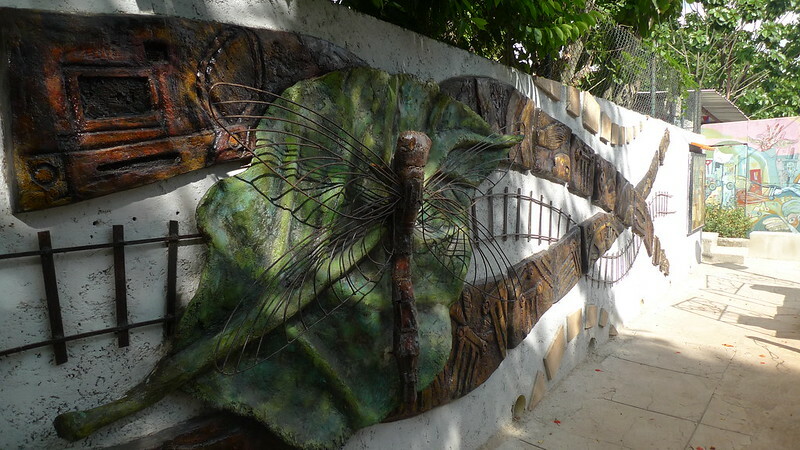 It might be the walls of a house, a bus stop bench, recycled metal or repurposed wood, cobbled together in an organic and eclectic, a real reflection of the Cuban character. But the real discovery for me was how complex the country is. For almost all Americans, Cuba is a place where only conjecture applies, because the embargo limits our access. And so with Fidel Castro sick, and the realist brother Raúl in power, some aspects of Cuban life has started to change at a macro-economic level, and I wanted to be there before it full Westernized (if that will every happen). One of those steps of reform is allowing small private businesses to take root. Some Cuban families have turned their homes into AirBnB style guest houses, or their kitchens into restaurants, or their garages into galleries. As tourists pour in, they must use the Cuban convertible currency, known locally as a CUC (pronounced kook). Think of CUCs as a Cuban dollar, and in fact their value is pegged to the US dollar. 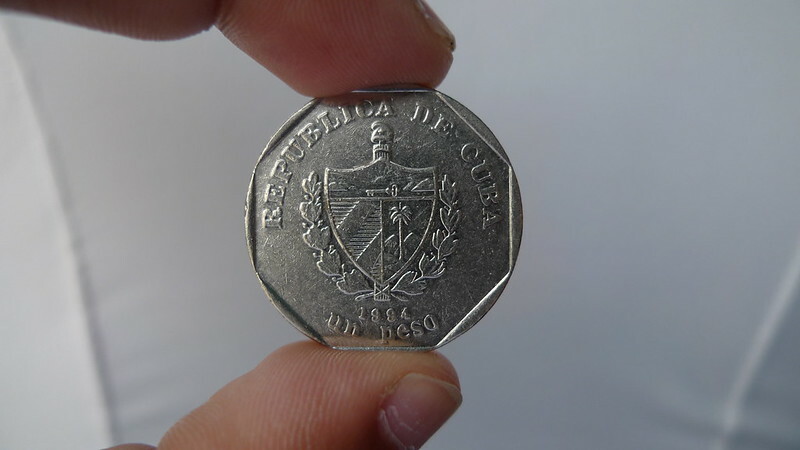 This fact is key because it means that no matter how many CUCs are in circulation, it doesn't affect the inflation of the other currency, the Cuban peso. The peso is used to purchase essential items like milk and diapers and bread and so on. One CUC is worth 25 pesos, and twenty CUCs (valued at $20) is equivalent to a month's salary. Thus, you have an economic system of haves and have nots, i.e. those who have access to CUCs, and those who don't. Another fascinating economic indicator is home ownership, and in this case, 90% of Cubans own a home. In America, one of the fastest ways to raise your economic status is the buying and reselling of real estate. But when you already own your home, and when the socialist government already gives you food (I saw a surprising number of overweight Cubans, which runs counter to the notion of a poor country), then what is the incentive? I have barely begun to really learn about the subject, so I won't profess any level of expertise on the matter. Let me return to a subject I know well: the food. The single best dish I had in Cuba was the chicken at El Aljibe in the Miramar neighborhood of Havana. The restaurant is renowned for their chicken, and deservedly so. 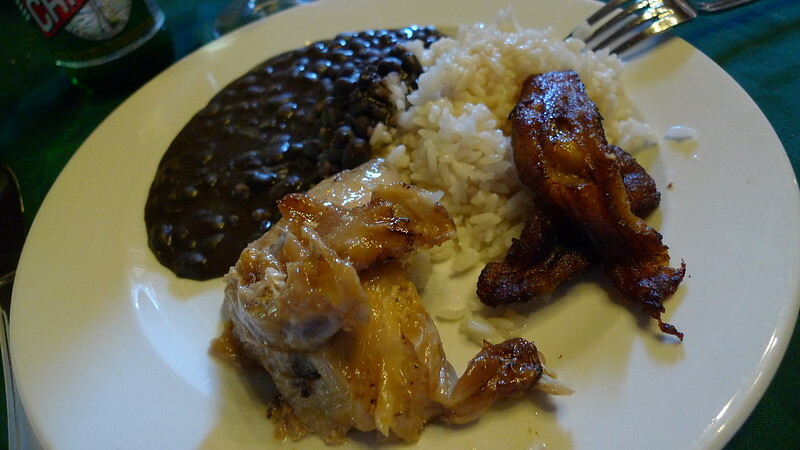 The best restaurant food that I had was at La Guarida in Havana Centro. The best restaurant experience I had was Doña Eutemia in Havana Vieja. The best rum I drank was Santiago de Cuba, aged anywhere from 11 to 20 years depending on what bottle a bar would have in stock. Cuba is a complicated country, and I would love to explore more outside of a large tour group. Maybe some day I'll be able to do exactly that.